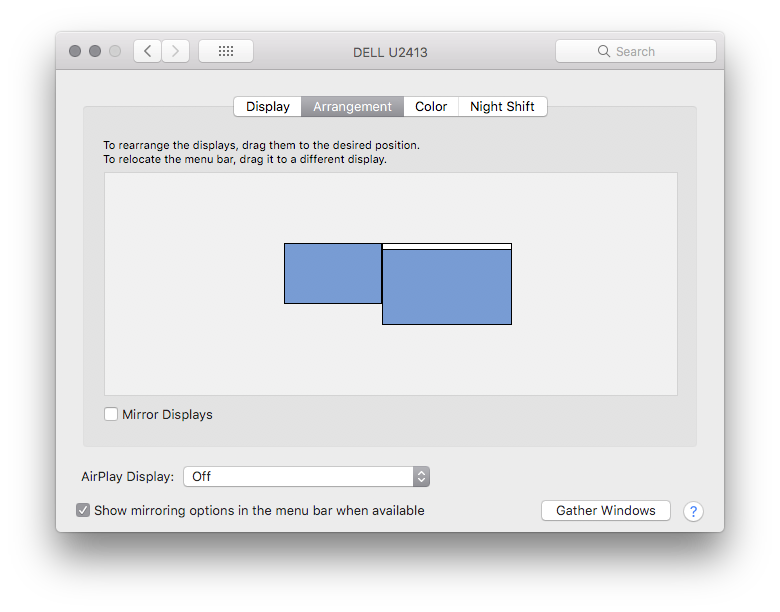 I’m looking for a way to apply two different display configurations inside System Preferences > Displays > Arrangement with AppleScript. Is this possible? I was thinking about reading and setting values of these two configurations and storing them inside variable, but I don’t know how to get those elements (they’re not standard radio buttons, checkboxes or something familiar). Browse other questions tagged display applescript system-prefs . 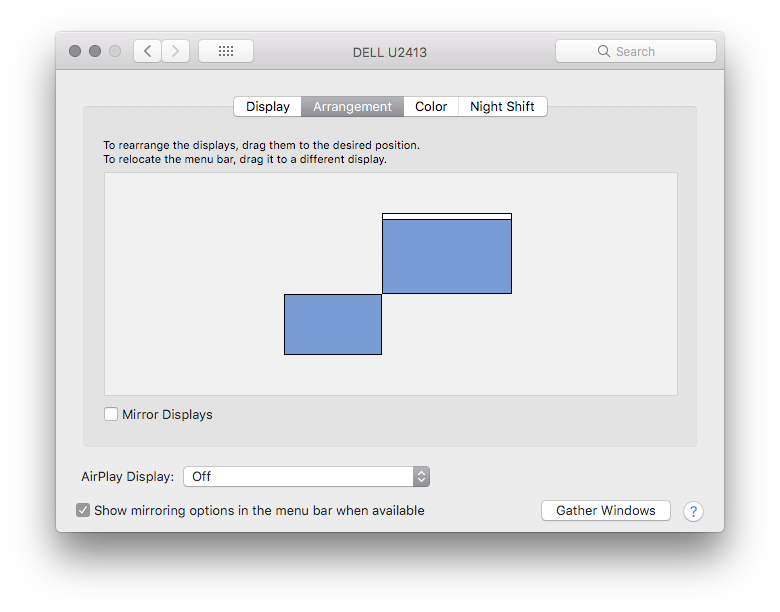 Is there a tool or scripting approach to change the arrangement of displays?